Mary Jane Jeansonne passed away peacefully on October 22, 2018 at the age of 82. 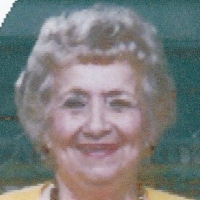 Mother of Evans L. Jeansonne, Jr. (Wanda) and Michael Jeansonne (Dee). She is also survived by 5 grandchildren, 3 great grandchildren, and her sisters Ruby Chauvin and Leona Kaes. Preceded in death by her siblings Rudolph "Sonny" Sampey and Barbara Carlstrom. Mary retired after many years of dedicated service from the Jefferson Parish School System. She was also longtime member of the Red Hat Society. Mary will be remembered for her joyful spirit and and happy-go-lucky personality. There was a never a dull moment and she truly lived her life to the fullest. Relatives and friends are invited to attend the Funeral Mass on Monday, October 29, 2018 at 1:00 pm at Garden of Memories Funeral Home 4900 Airline Dr. in Metairie, LA. Visitation will be held prior to mass beginning at 11:00 A.M. until service time. Interment will follow in Garden of Memories Cemetery. Online condolences may be offered by visiting www.gardenofmemoriesmetairie.com.